Rarely am I stumped by a movie. Usually, I like the film, it is okay or it is bad. But every now and again, a movie makes me work at an opinion. David Ayer’s Fury is one of those films, the 2014 film being released this week on Netflix. Starring Brad Pitt, Shia LaBeouf and Michael Peña, Fury tells the story of an American tank crew in the last year of World War II, pushing deep into Germany but heavily outgunned by German Tiger tanks. And there is my challenge with this film. I have now explained the entire movie to you, because there is no real point to the plot. It is seriously as though a camera crew showed up on a battle site one day and followed a tank crew for a few days as it wound its way through various other battles into the belly of the Nazi beast. Thus, I cannot really tell if this movie is an amazingly stunning metaphor for the futility of war—there is no glory here—or if it was just a badly penned film. To be fair to Ayer, who not only wrote, but also directed and produced this film, there is a human interest side to this story as the war-weary, battle-hardened tank crew is joined by doe-eyed recruit Norman Ellison (Logan Lerman) who just days earlier was a typist for the military bureaucracy. Thus, as the tank—the titular Fury—lurches from battle to battle, we witness the corruption of a pure heart by atrocities committed not only by the enemy, but by his fellow soldiers. And we see the toll this corruption takes on the boy’s tank commander Don “Wardaddy” Collier (Brad Pitt) who personally starts that downhill process. But again, to what purpose? Almost all war films seem to be based on men fighting toward a higher purpose, whether it is a battle that turns the tide of the war—e.g., Sands of Iwo Jima; Tora, Tora, Tora—or a moment of humanity amidst chaos—e.g., Saving Private Ryan—or men fighting for sanity within that chaos—e.g., Good Morning, Vietnam; Catch 22; Apocalypse, Now. For me, Fury had no such pretense. Yes, the Americans are the “good” guys and the Germans were the “bad” guys, but neither side in this film was any nobler than its counterpart. Within the confines of this movie, this was carnage and hatred purely for the sake of same. As to the film itself; all of the actors did an admirable job, wearing the carnage of war on their faces and in their souls. Brad Pitt at his harshest expressed an internal dignity if not nobility. Shia LaBeouf was restrained. And Michael Peña really didn’t have much to do. Truthfully, this film might have been stronger as a silent movie, as it was the facial expressions and battle scenes that told this story. The dialogue offered little to the visceral impact of this film (emotions are drained pretty early). Beautifully shot, this is a grisly film and not for the faint of heart or stomach. Bullets and bombs don’t just pierce a body; they rip it wide open. The fallen remain fallen, to be ground into the mud by jeep tires and tank treads. For all of these reasons—and it was a slow burn for me—I am coming down on the side of Fury being the embodiment of the ultimate futility and barbarism of war. In this movie, even if you saved the person of Private Ryan or Ellison, the soul is long gone. 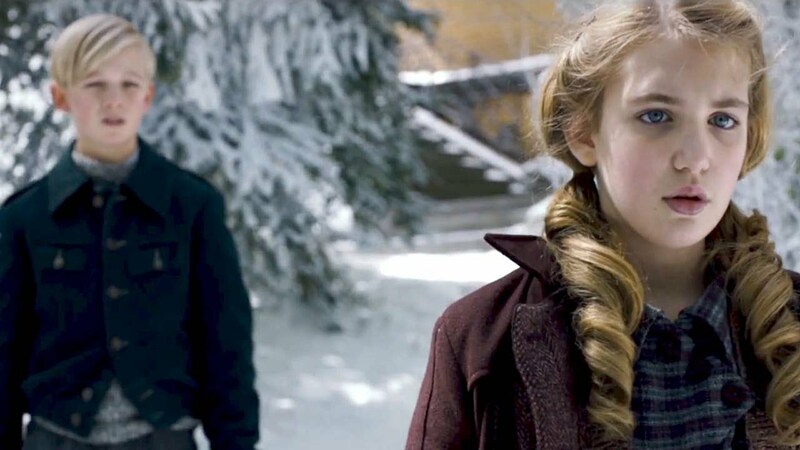 I just finished watching The Book Thief and I must admit that I am quite conflicted. 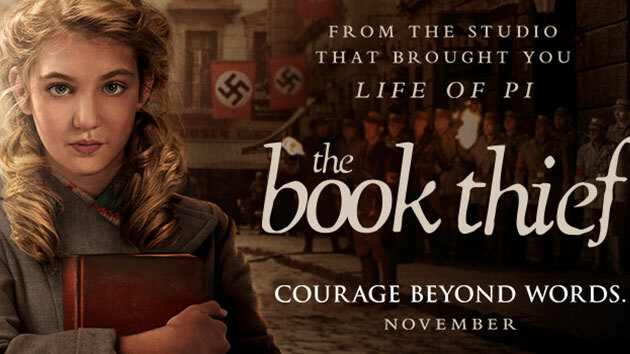 Released in 2013 with an amazing cast including Geoffrey Rush, Emily Watson and the mesmerizing Sophie Nélisse in the title role, The Book Thief tells the story of a young German girl adopted by aging parents in the months leading up to World War II. 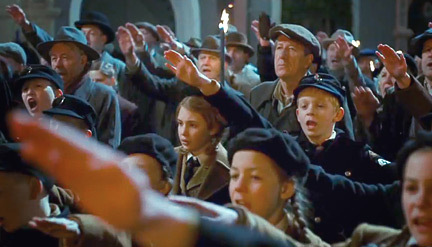 Through Liesel’s eyes, we watch fascism take hold of Germany while good people try to lead simple lives. We watch her struggle to comprehend anti-Semitism through conversations with a young Jewish man her parents are hiding and at the same time, find her own gift for words through her exploration of books. We see the beauty of love and the pain of uncertainty. All in all, the film was beautiful and heartfelt. And yet, in the end, I feel like I have witnessed a life, not heard a story. Liesel floats through the world that moves around her. In only the rarest of instances does she actually drive the story forward. Instead, people and the fates make decisions for her at every turn. She is not the protagonist or hero of the story; rather, she is the victim of events. Adding to my challenge is that, despite its setting in WWII Germany, there is no real conflict in the story. The ideological conflict amounts to Hitler bad, everyone else good. And even here, it’s discussed within isolated groups. There is no—or very little—confrontation between the two camps. As our hero, Liesel has no goal and therefore nothing stands in her way. She has no need to make a plan and therefore nothing truly thwarts her. And perhaps because of this—at least spinning out of this—there are never (NEVER) any repercussions of her actions or those around her despite the number of times the screenwriter (Michael Petroni adapting a novel by Markus Zusak) or director (Brian Percival) have set them up. When the vicious little Brownshirt Franz threatens to expose Liesel and her little friend Rudy for keeping secrets, nothing happens. When Liesel’s friendship with the Burgermeister’s wife causes Liesel’s mother to lose her valuable laundry contract, there are no repercussions. Even her spilling the beans about a Jew hiding in the basement has no impact on the story. As we would describe in screenwriting lingo, there were no turning points where the hero has to make a decision, and there was no crisis and therefore no climax to the story. Thus, my conflict with the movie. A visually interesting film, acted beautifully, and yet I was unable to invest in the story at all because I never felt anything was in doubt. Where there were the odd surprises, they were telegraphed by the narrator, who popped up so haphazardly, I could never figure out why he was even in the story. And the choice of who narrates is also very odd. And then, one after another, the loops of the bow-tie formed as the story came to a close, everything being explained away to leave the final screen moments devoid of meaning or feeling. Sad, really. There was so much to like about this movie. On November 11th in Canada, we take a moment out of our day at 11am to remember those who have fallen in war to define and defend our rights and freedoms as a nation and a people. 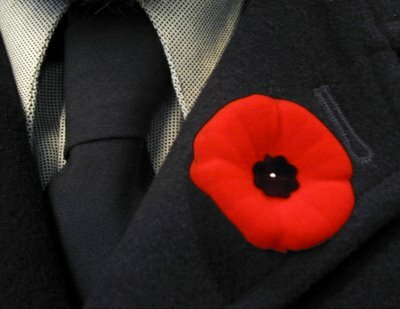 We call it Remembrance Day and in the British tradition, we symbolize it with a poppy. I am of the fortunate age that while I never had to experience the terror of war myself, I am old enough to have spoken with many of my family members who have served in the Canadian military both in times of war and in times of peace. My great grandfather Francis Sowden served in the First World War, the war whose Armistice Day we commemorate. My grandfather Allan Eby served in the Second World War as part of the Canadian forces that invaded Italy and freed the region from Nazi occupation. Similarly, my great uncles served in the military, one making it his career. Each man had his own experiences. Each man could relate his own stories. I remember fondly, when I grew old enough to understand, listening to my grandfather relate his experiences; in some ways, his greatest days and in others, his worst. In his own gentle way, he taught a brash young know-it-all with all the answers on the failure of war a thing or two about life and the need to defend freedom when called upon. As I visited my grandparents’ gravesite the other day, I came upon the graves of several other soldiers, their tombstones clearly marked, their ranks smartly inscribed. And I stopped for a moment to thank them for their sacrifices. It was only then that I noticed a monument atop a hill, something I had never seen before, that paid homage to the fallen. A soldier with bowed head. Very humbling. To the men and women who sacrificed everything for my home, I thank you. To the men and women who served bravely or waited nervously for family members to return home, I thank you. To my friends who continue to serve for Canada or any other country, I thank you. 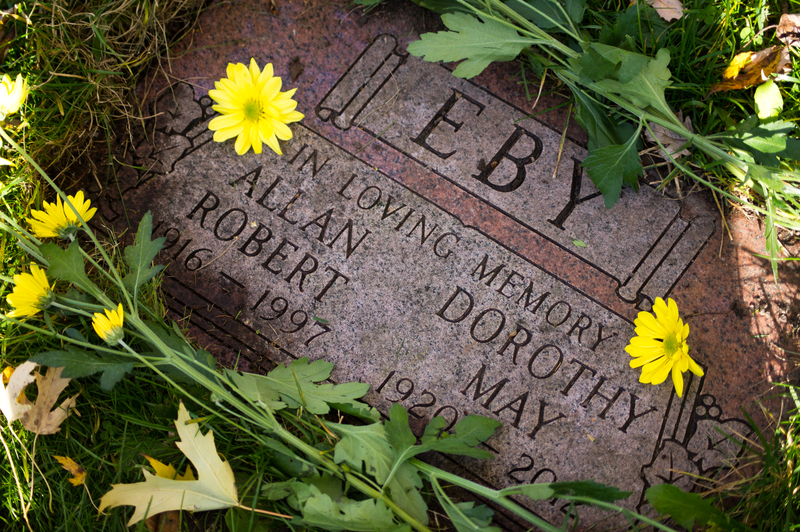 As long as I am alive, your story will not go unheard or unremembered.